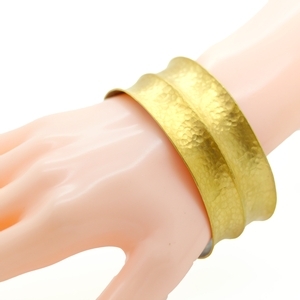 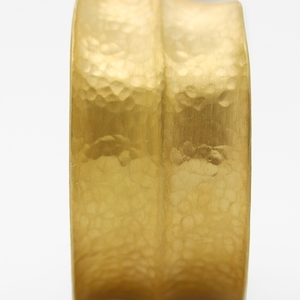 Hammered 24K Gold Plated Silver Cuff Bracelet at Reliable Gold in Providence, RI Reliable Gold Ltd. 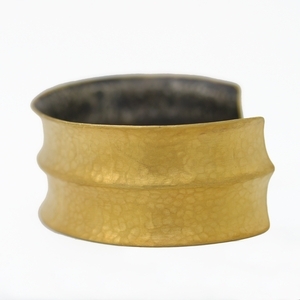 Beautifully wearable cuff constructed of hammered sterling silver with a 24K gold plating and ridge motif. 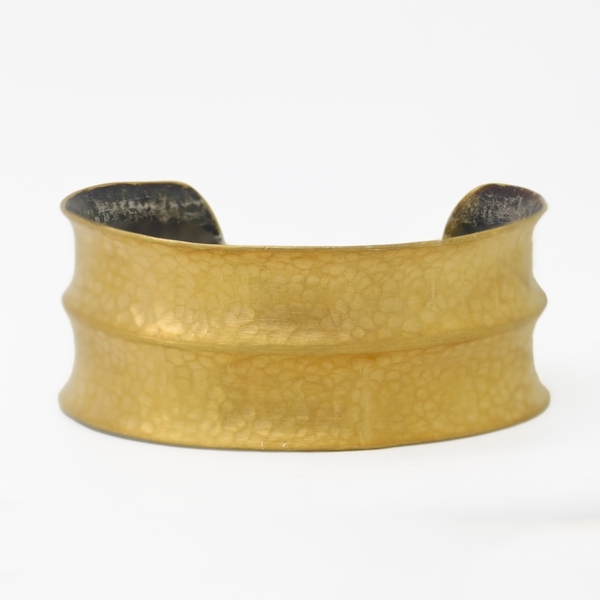 A fabulous daily outfit-maker!